An investigation into the continuity of consciousness beyond the body; the true story of strangers who began spontaneously to remember shared lives together and the healing response. An account of the non-local communication and benign guidance indicating a pre-determined plan and purpose and its ultimate fulfilment through a healing and teaching network. Unravelling the mystery of the life and teaching of Jesus and the attempts through two thousand years by emperors, popes and the power elite to alter and conceal his original message, the Ascension Path of the Soul. Traces the historical journeys of Jesus through Egypt, India, Tibet and Britain through the Coptic and Gnostic gospels, Celtic manuscripts, Buddhist scrolls and sacred Hindu texts. Revealing the true origins of the Christian church in the first century; the Celtic princesses and Roman generals of the first Glastonbury Mission and the first church in Rome. Why is mankind facing cataclysmic changes today manifesting as war, famine, plague and climate change? Are we on the brink of disaster or spiritual renewal as we approach the close of a major astrological cycle and the birth of a new Age? An intriguing mix of science and religion, prophecy and prediction linking past, present and future. 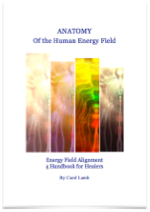 This handbook explores the anatomy of the physical body and the subtle energy systems, explaining the interface linking chakras and meridians to the cellular matrix. It offers guidelines through which causative factors can be identified and traced as subtle energy body mapping, drawing upon anatomy, physiology, technology and body therapy. Alignment techniques are explored and the reader is introduced to cellular memory and body/mind consciousness and the means by which causative factors in energy field disruption and displacement can be identified and traced through body mapping.